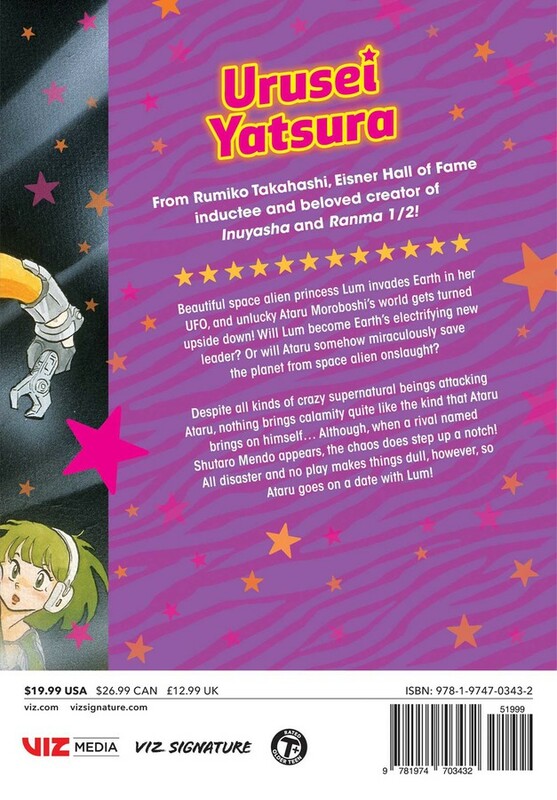 Urusei Yatsura Manga Volume 2 features story and art by Rumiko Takahashi. Despite all kinds of crazy supernatural beings appearing and attacking Ataru, nothing brings calamity quite like the kind that Ataru brings on himself… But when a rival named Shutaro Mendo appears, the chaos gets stepped up a notch! All disaster and no play makes things dull, however, so Ataru goes on a date with Lum!